According to New York law, if a worker is injured in a construction accident after falling from a ladder, the property owner is the liable party. The fault does not lie with the worker or other workers, nor does it lie with the party supplied the ladder. The property owner is liable for any injuries that result from a fall from a ladder. Despite this seemingly clear-cut law, property owners may fight against this liability. 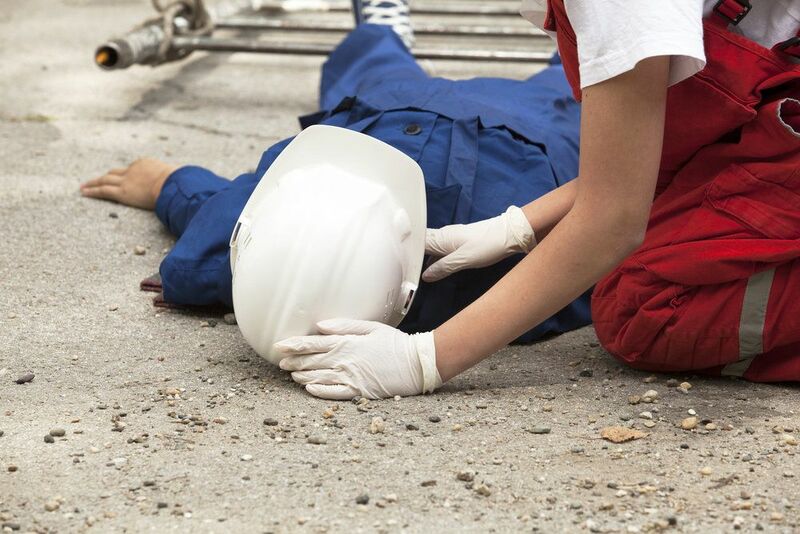 Workers injured in construction accidents and falls from ladders in the White Plains, NY area need the skilled attorneys from Worby Vecchio Edelman, LLP on their side. Other ways to prevent falls include avoiding the use of old and worn or damaged ladders. Construction workers should also use the proper ladder for the task at hand. Using the wrong type of ladder can have serious consequences. If a ladder slips out of place or collapses while a worker is on it, serious injuries can occur. The worker may suffer broken bones, lacerations, spinal or head injuries, or death. According to the CDC, more than 80 percent of fall accidents on construction sites involve ladders. These accidents have serious consequences for both the worker and his or her family. If the worker survives the fall, he or she is likely to struggle with lifelong disabilities such as paralysis or brain damage. Medical expenses can mount, as multiple surgeries and extensive therapy may be needed to help restore function to the injured area(s). On top of that, the injury is likely to at least temporarily keep the victim from returning to work, resulting in lost wages. Not only does this place hardship on the injured worker, but it places a burden on his or her family as well. If you or a loved one fell from a ladder on a construction site, you are entitled to compensation. You have a right to reimbursement for all medical bills resulting from treatment for your injury. You also have a right to reimbursement for your lost wages while you are out of work. In the event that your injury prevents you from returning to work long term or permanently, you are entitled to compensation for your loss of income. If the property owner attempts to avoid paying you appropriate compensation, our attorneys will fight for your rights. In the event that a ladder fall led to the death of a loved one, our attorneys will file a wrongful death suit. The victim’s dependents are entitled to compensation for the financial and emotional support they have lost. If you or a loved one suffered serious injuries in a construction accident, contact our law firm today to schedule an initial consultation.